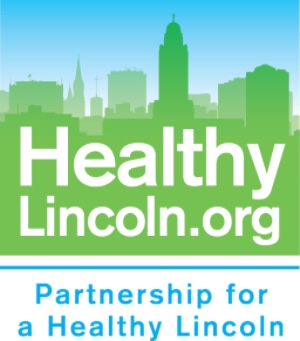 Partnership for a Healthy Lincoln helps people live longer, healthier lives by improving nutrition and fitness, supporting breastfeeding, and improving cancer screening and vaccination rates. $50 supports the Streets Alive! Community Development Project leaving a lasting impact that improves the health, safety, and vitality of the neighborhoods that host our FREE city-wide annual Streets Alive! health and wellness festival. Partnership for a Healthy Lincoln is dedicated to improving health, wellness, and fitness in Lincoln and Lancaster County. We collaborate with over 75 local organizations and clinics on projects increasing the impact of our joint efforts - helping our community live longer, healthier lives. Our WeCook interactive cooking, nutrition and fitness program starts with children and reaches beyond the school setting to impact the health of whole families. See what’s cookin’ at https://bit.ly/2HrxL7K. Our Streets Alive Community Development Project helps fund a living and learning center that will serve as an outdoor classroom for pre-school and school aged kids and provide additional space for senior and neighborhood organization programs. Find out more at http://www.healthylincoln.org/initiatives/streetsalive/community-project.html. Our Community Breastfeeding Educator program provides education for culturally diverse moms, including moms new to America, in nine different languages, improving both maternal and infant health. Meet Lincoln's educators at https://bit.ly/2wosKKY. Our cancer screening program saves lives through the detection of colon, breast and cervical cancers in their earlier, more treatable stages. Our vaccination program prevents several cancers by increasing HPV vaccination rates. Learn more at https://bit.ly/2FUWEsC.